Step by step instructions with pictures to help. 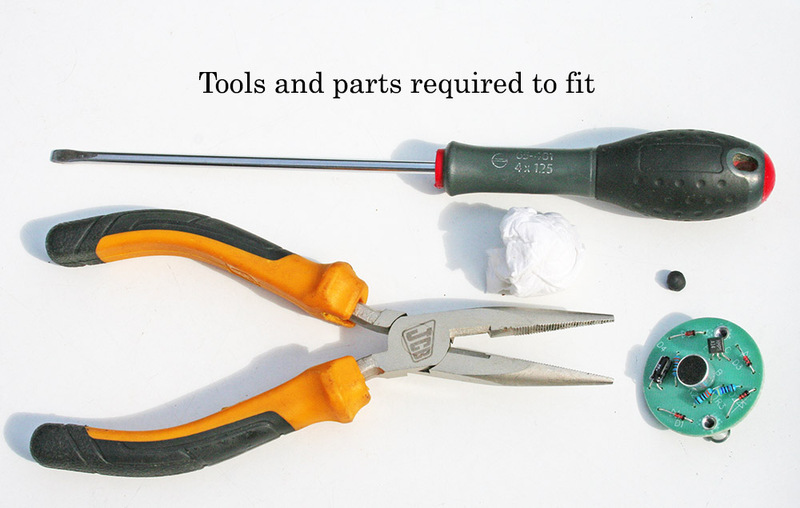 Tools required are a pair of pliers a blade screwdriver and a !/4 sheet of kitchen towel..
Parts Supplied are black Tac and Electronic microphone. 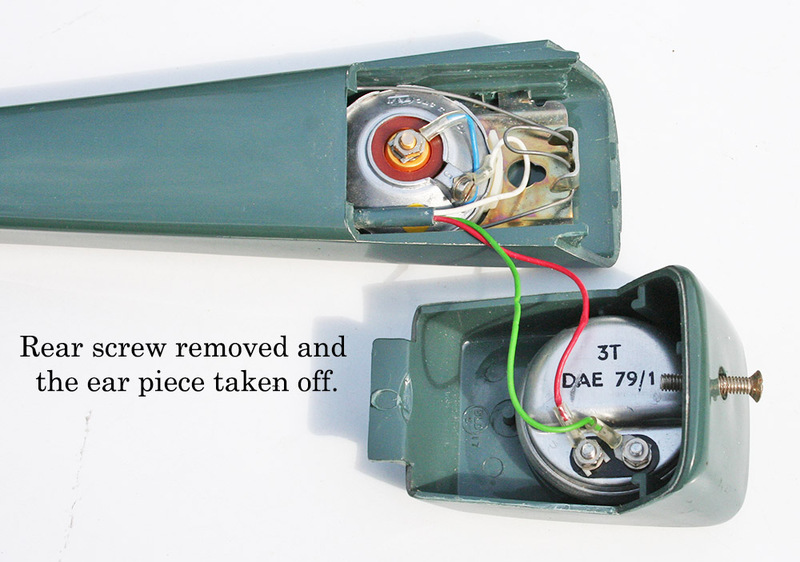 1/ Remove CSK screw from ear piece at the end of the handset. 2/ Position as in the photograph above to enable you to follow more easily. 3/ Pinch the wire to allow the location to release and be lifted out. 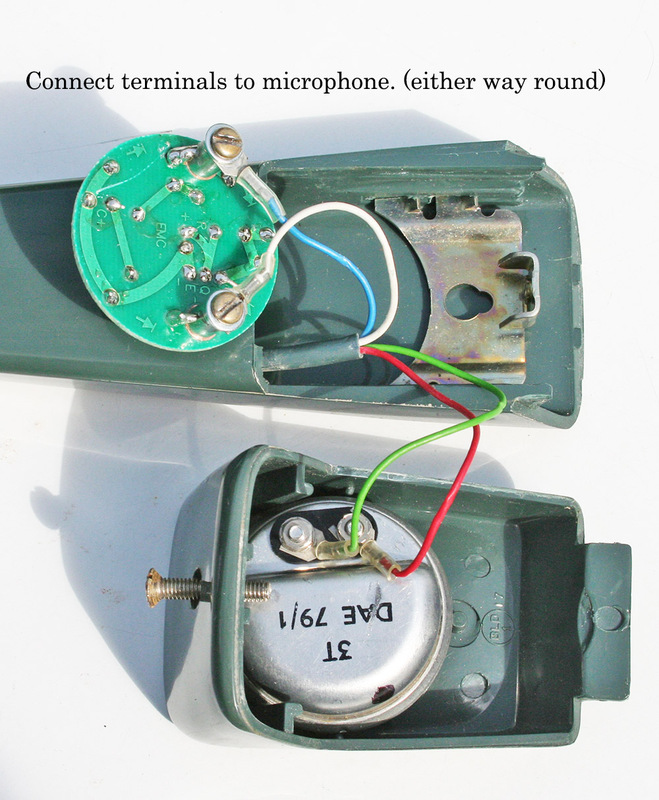 4/ Release the nut on the top of the carbon microphone (Pliers) and unscrew and release the remaining terminal. 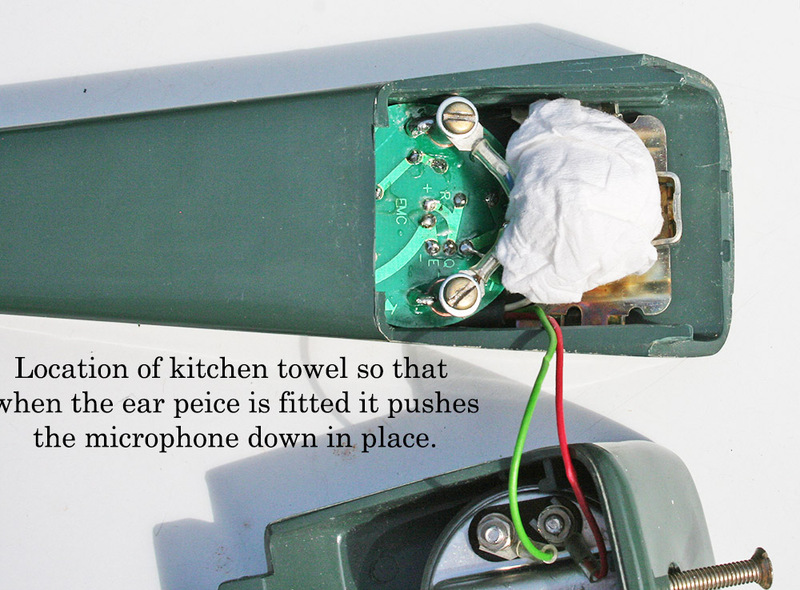 5/ Lift and pull forward the plastic trumpet and microphone. 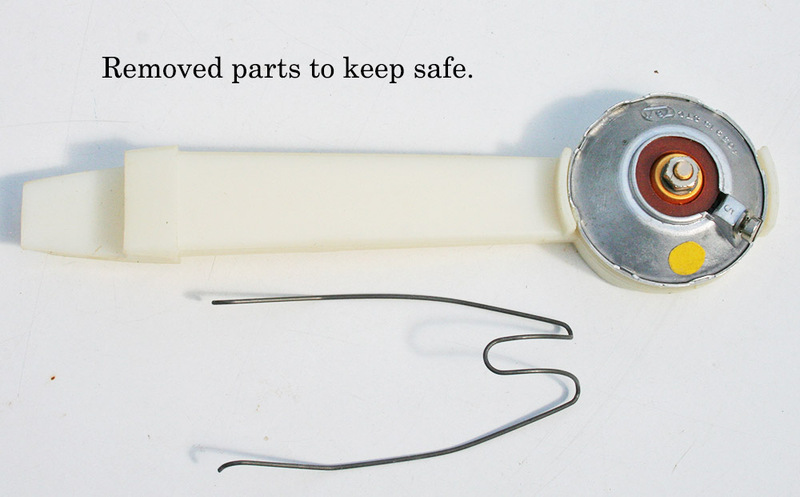 (bag the parts removed and keep safe in case you ever want to replace). 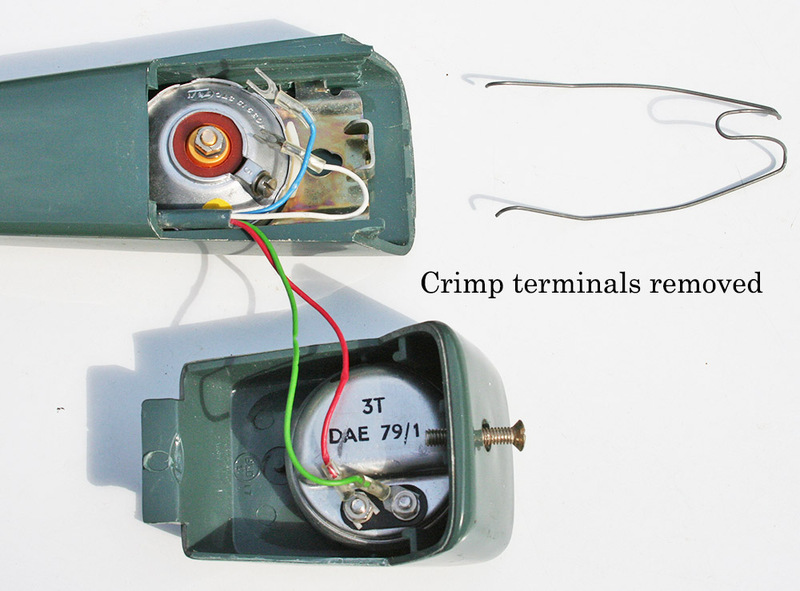 6/ Connect the terminals either way round as shown in the picture above. 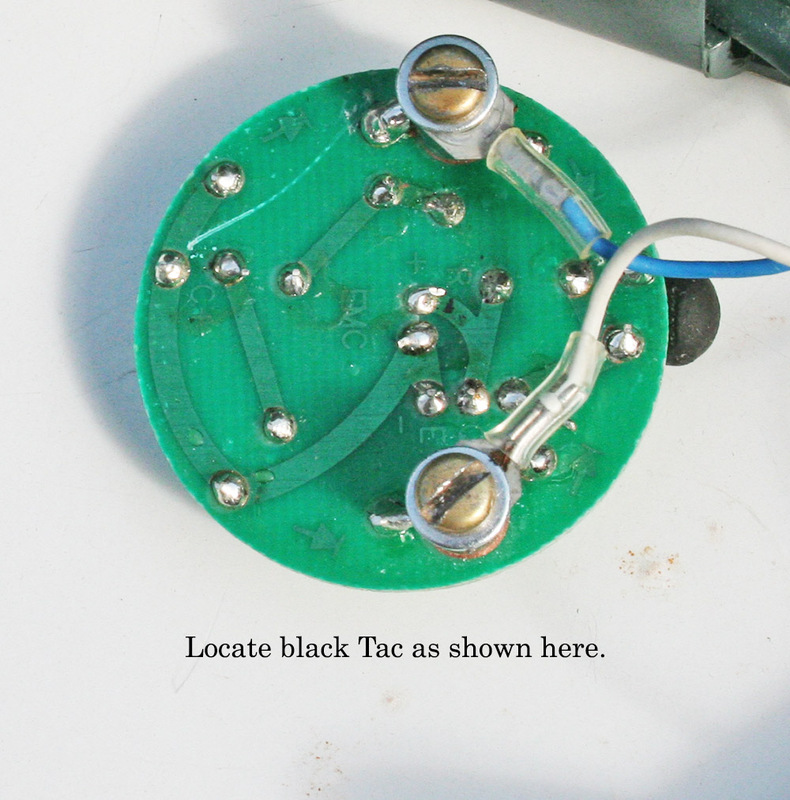 7/ Add the black Tac tot the microphone as above. 8/ Locate as in picture and instructions above. 9/ Role the kitchen towel into a ball and locate as instructed in picture above. 10/ Fit the ear piece location into the corresponding slot on the handset. Make sure the transmitter is in place and close up. You may need to pull slightly forward to it to locate at the rear. 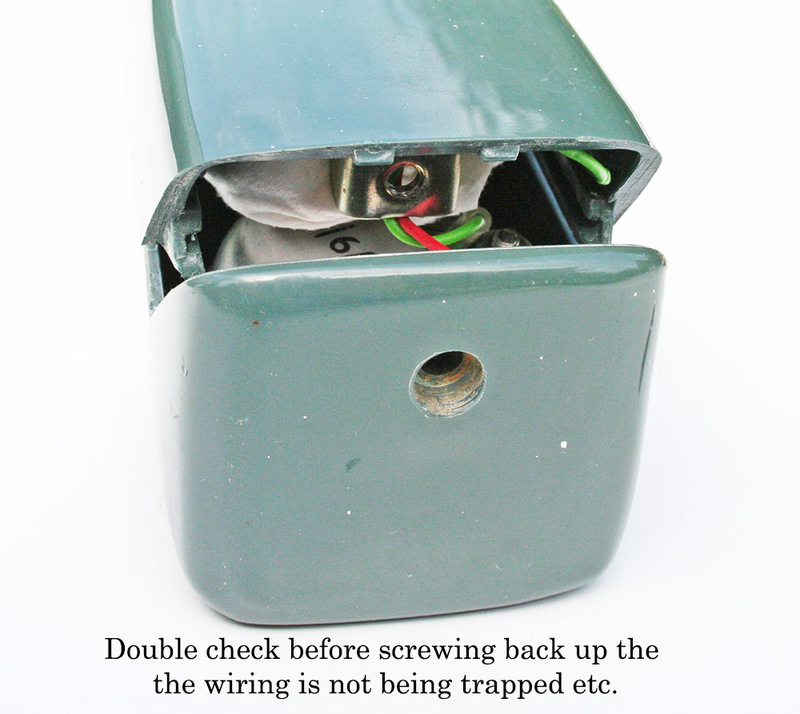 Replace and screw up making sure not to trap any wiring. 11/ This is not usually required but if you find the volume is still low. 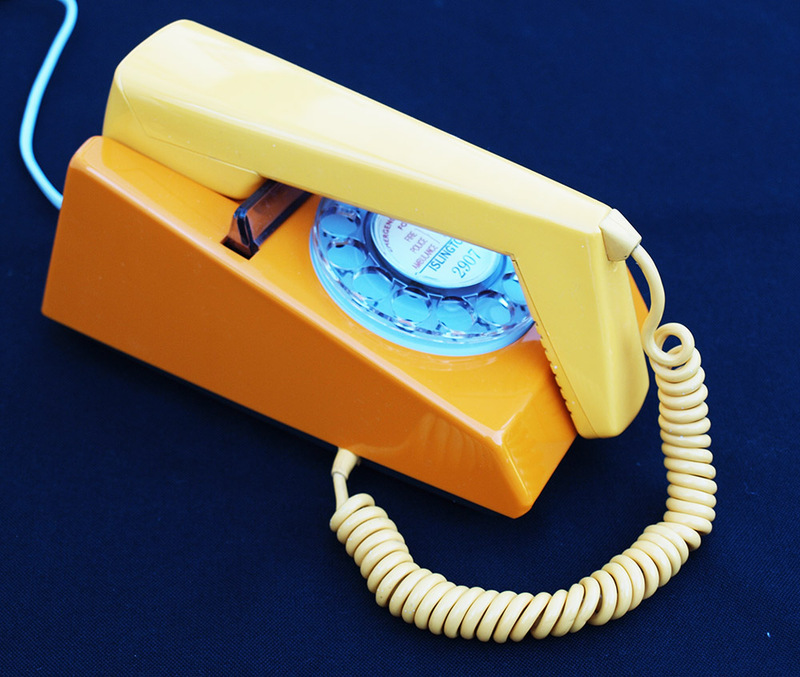 Remove body case by unscrewing the plastic screw between the handset hollow rest. 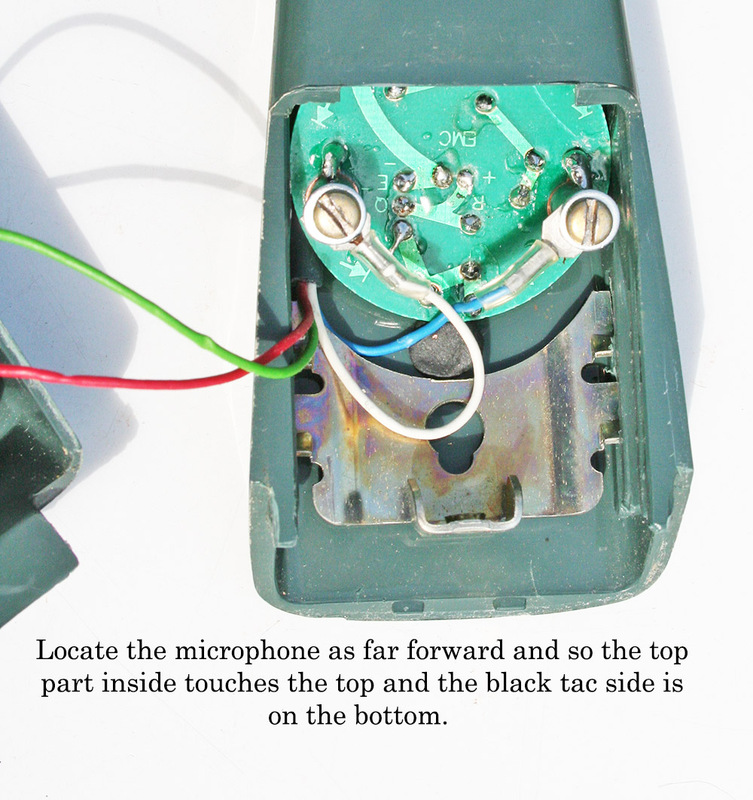 Remove the item between the white and blue handset wire location on the main board. This usually is either a black or blue long cylindrical item.